I'll vote for #2 also. Yes Franck, the second yellow and black choice, the one without 1950s across the stripes. Ok so we might have a winner, what do You think ? Let me know and I'll be glad to upload it! If nobody has any objections, I think we can go ahead with this ribbon. 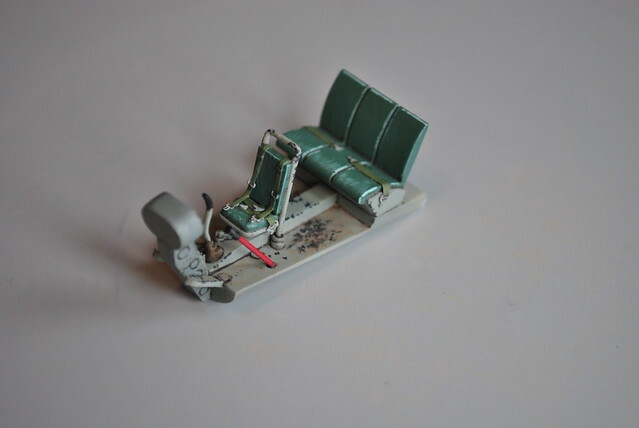 Instructions were found again and the cockpit is ready for closing up. 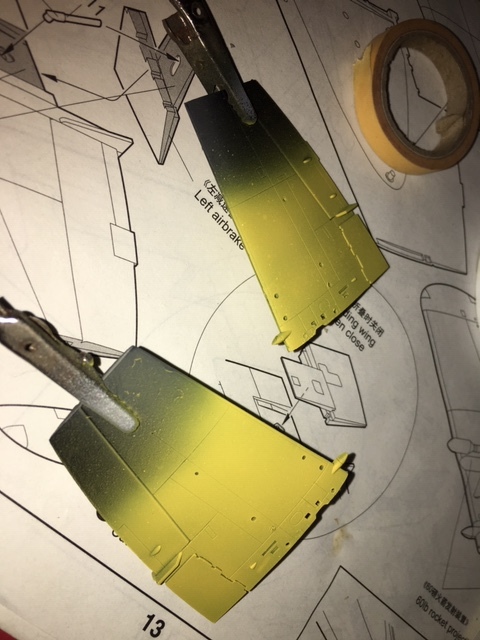 Since the clear parts are a bit on the thick side I opted for more contrasting colors, so that in the end there is still something to see in the cockpit. 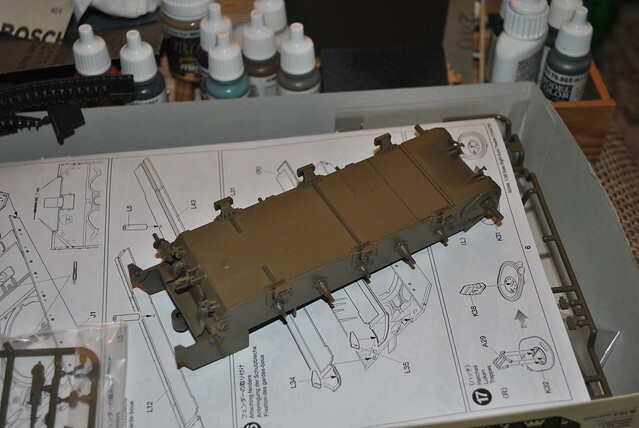 The kit is now starting to show its short-run heart. 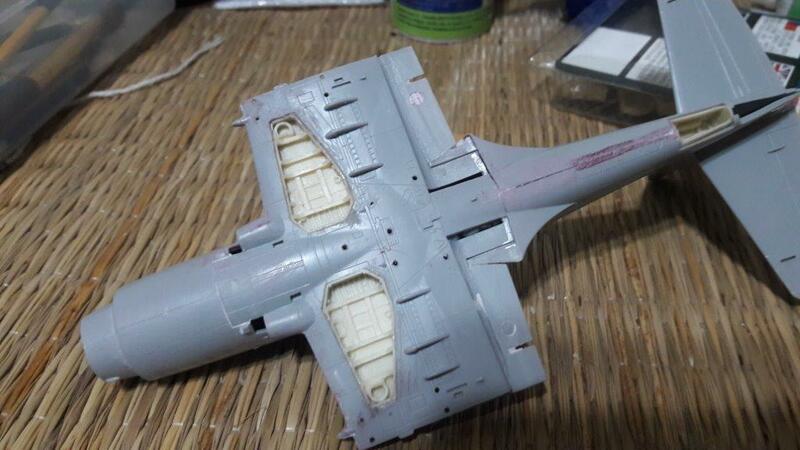 The fit of the main fuselage and canopy parts with the cockpit is less then ideal so a lot of putty is needed. 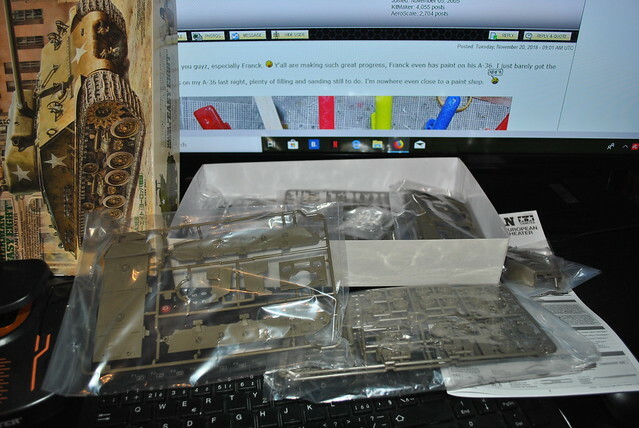 While I will be waiting for the putty to cure I was thinking about a quick de tour. 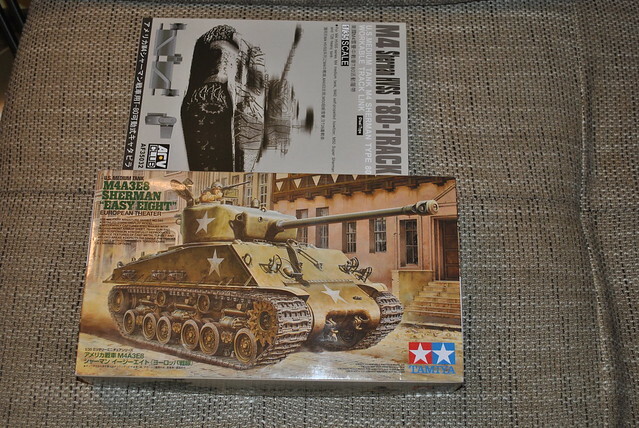 I have Tamiyas 1/35 M4A3E8 ww2 version Easy Eight Sherman in stash which I wanted to build as a Korean war tank. 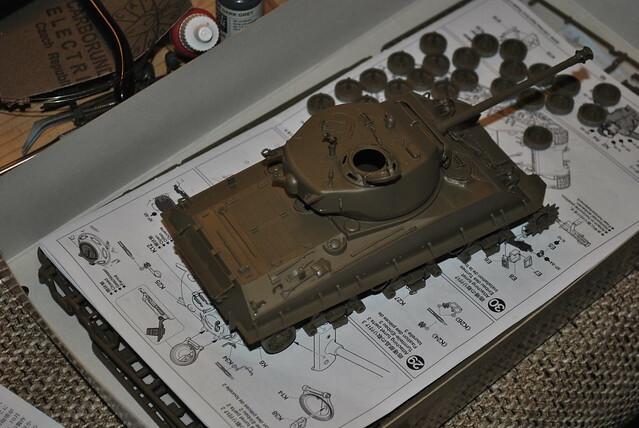 Since the kit is preaty simple I was wondering if it can be built literally in one day (minus painting). So thats what I will try to do tomorrow. 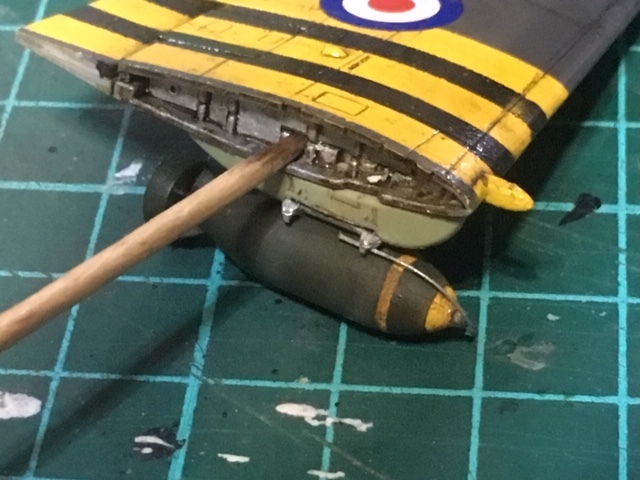 The WW2 version has a slightly different exhaust 'cover', however some pictures from Korea do show it closed so Im not going to bother to change that. 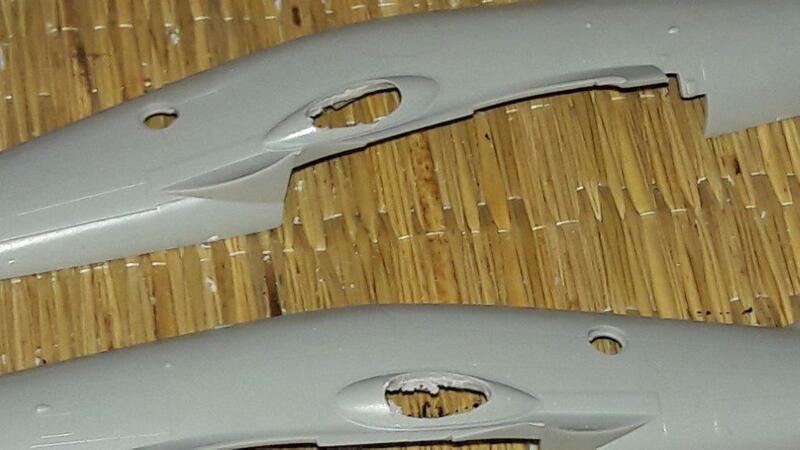 Since I bought also simgle link tracks, these will not be part of the 'challenge' for obvious reasons. 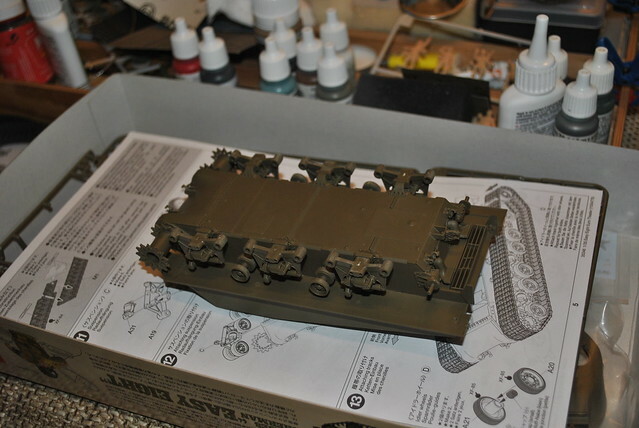 So as planned, started the M4A3E8 today in the morning. 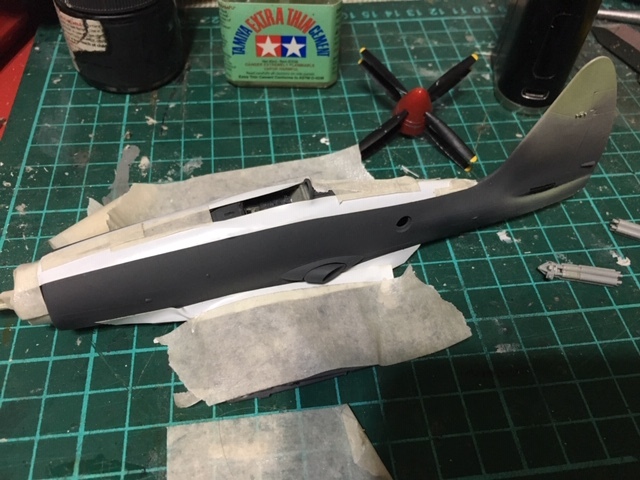 Photos showing the progress so far. 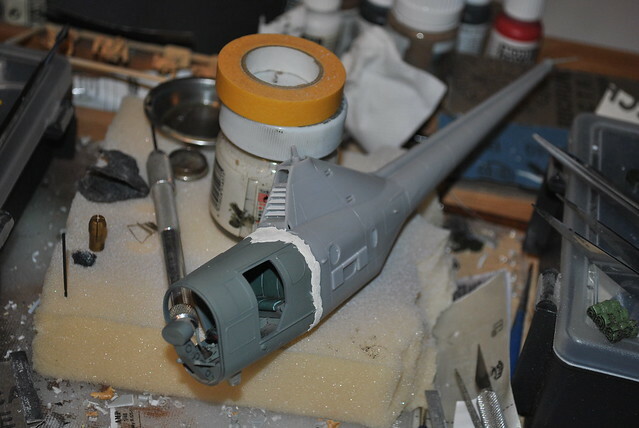 There is still much to do, but I think its still manageable to get the basic construction done today. 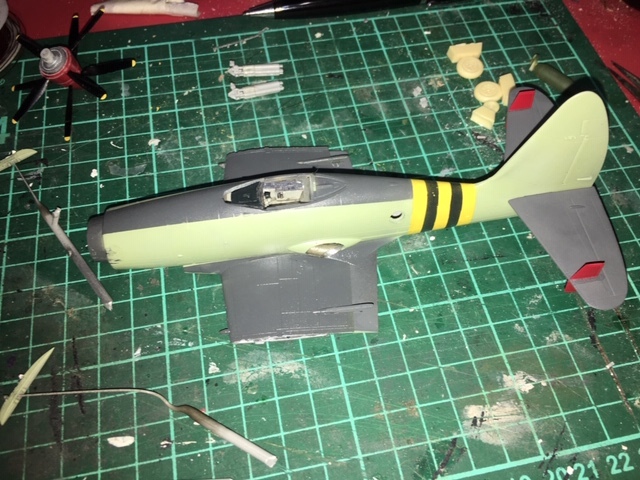 Korean war F-86? I'd say you're right on the money Oliver! 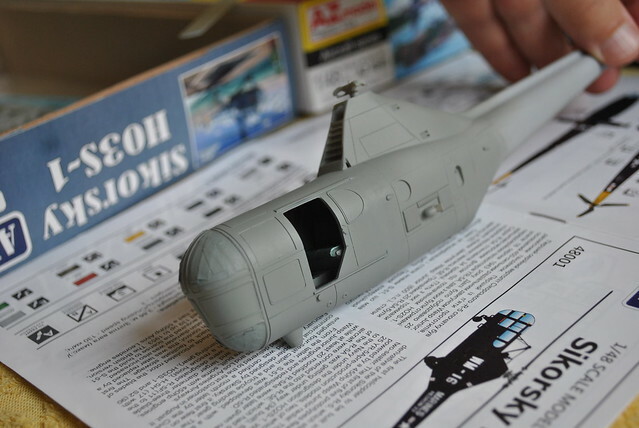 Look forward to seeing how the kit builds and what you do with it. 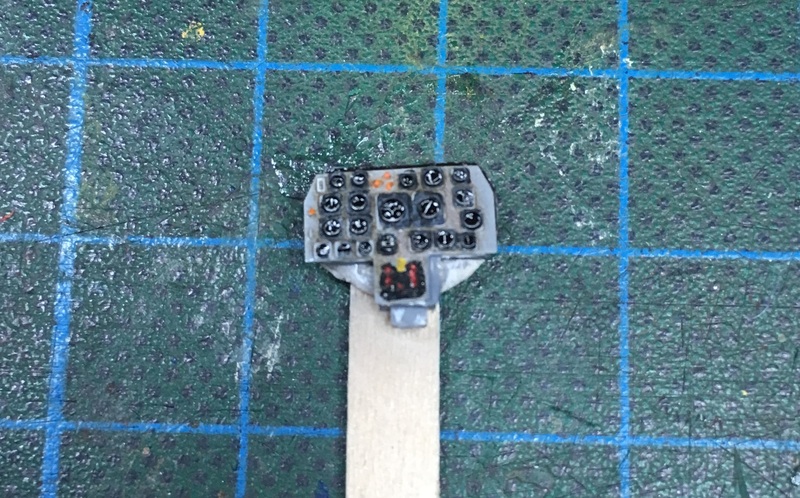 I've plugged away a little on my Korean War F4U-4. 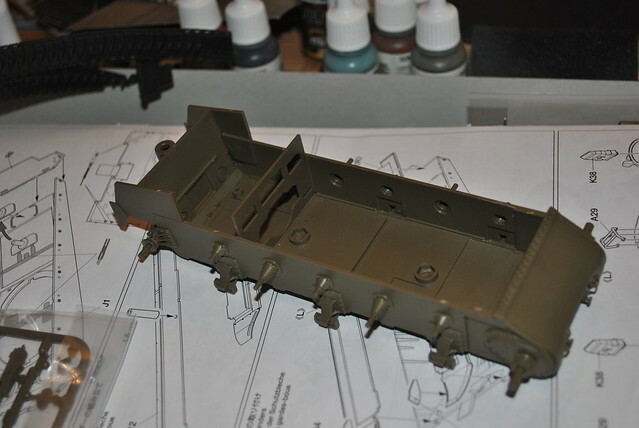 I'm a kitchen table modeler & it's too cold to go airbrushing in the garage. 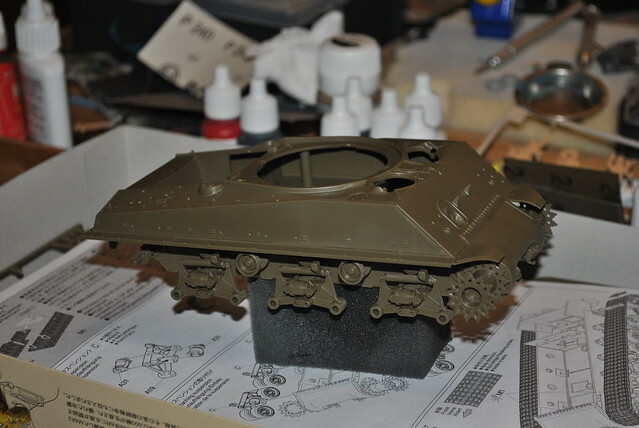 I'll be using rattle cans and a hairy stick for painting. Ignore the tiny Stormtroopers, they're for the Bandai Campaign. Ive enlisted too, just need to verify the choice. 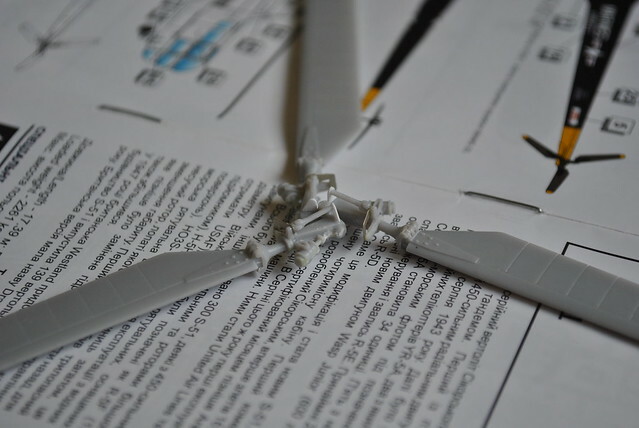 Jacob Hope you can continue on the Helicopter, looks good already. Welcome on board Oliver, Don and Dave. 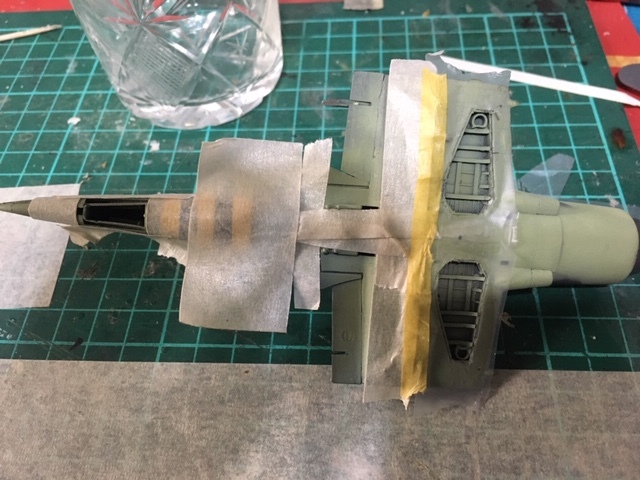 I have to be honest, the heli is on hold right now, but there are good reasons for it, as always, the reasons being, Su-76, Kingtiger, 1/72 Harrier and a 1/48 Mig-21 all at the same time ofcourse, and a small 1/35 vignette in between. 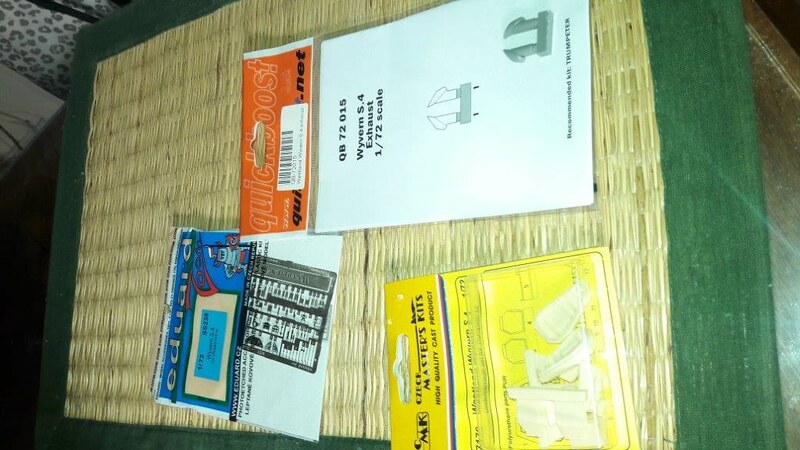 the old Fujimi kit is really nice. 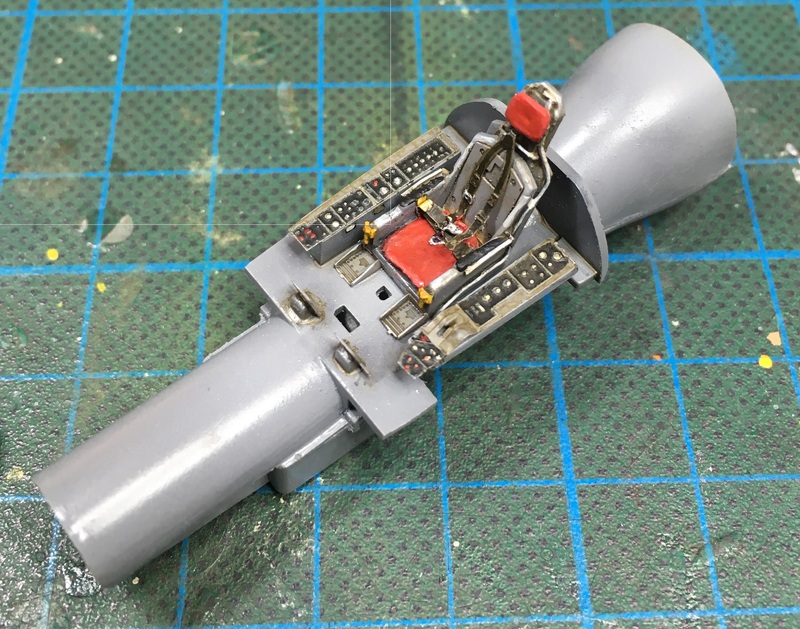 I am fascinated by the details for this old kit. nice start. 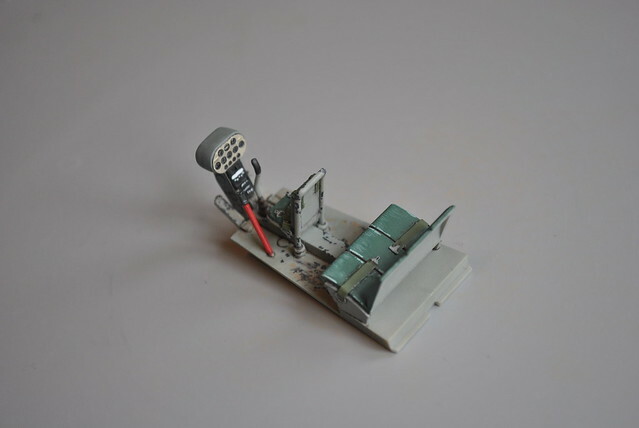 The office looks nicely detailed! 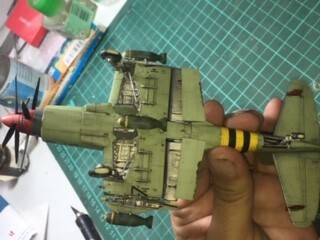 Hope the weather will be more pleasant for modeling soon! wow, these are lots of kits. I never have accomplished more than one kit at once! 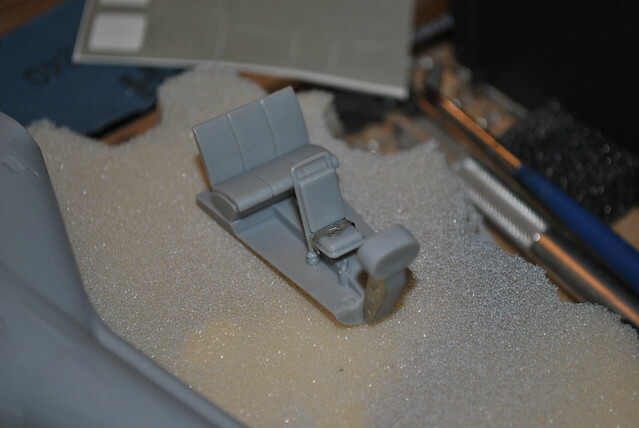 I began with the tiny office of my sabre. 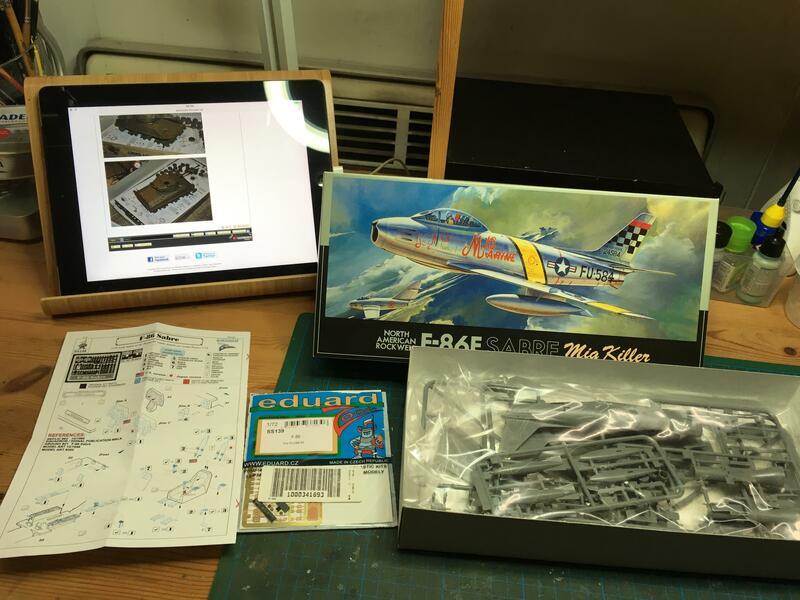 The Eduard PE fitted nicely! 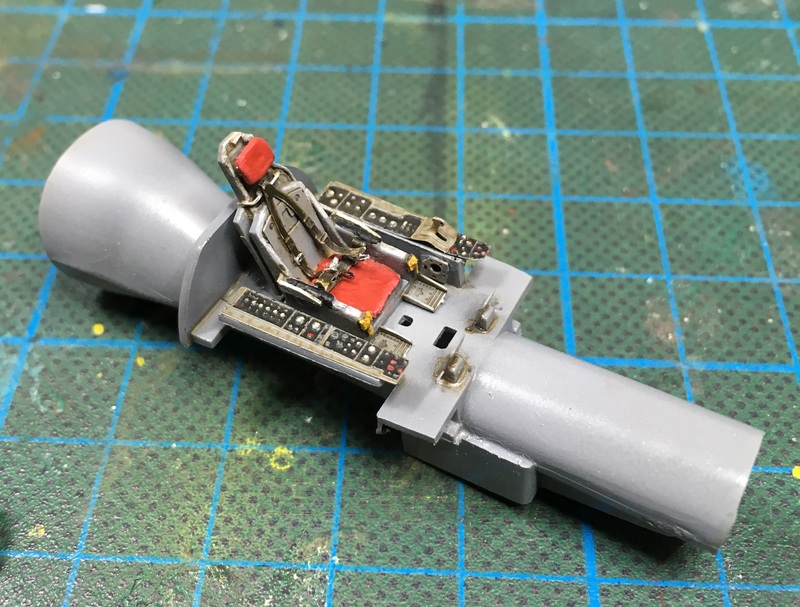 I added some wiring to the seat. That´s it! 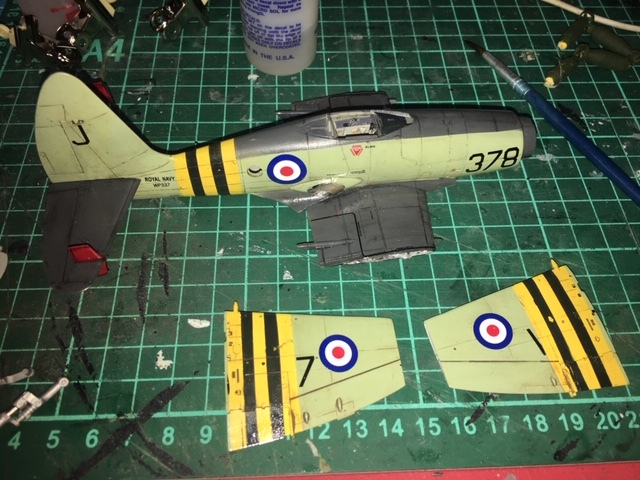 Hello breaking open the box on my 1/48 Airfix Sea Fury of No 801 Naval Air Squadron, flying from HMS Glory in 1952 during the Korean War. Jose-Great choice, can't wait to see more. I've got the major construction completed. 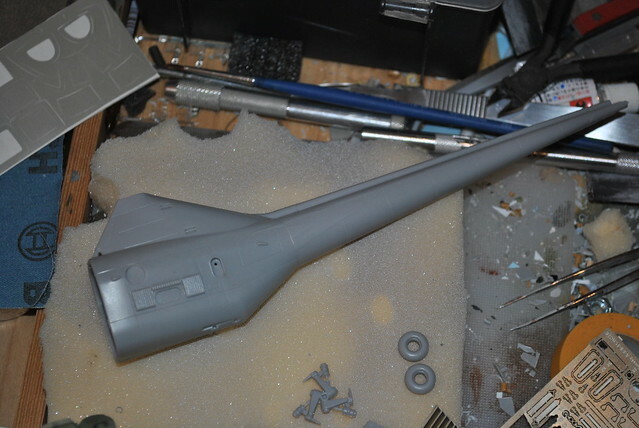 I've washed it in soapy water and will it dry overnight before priming. @ Jose - welcome to the party. 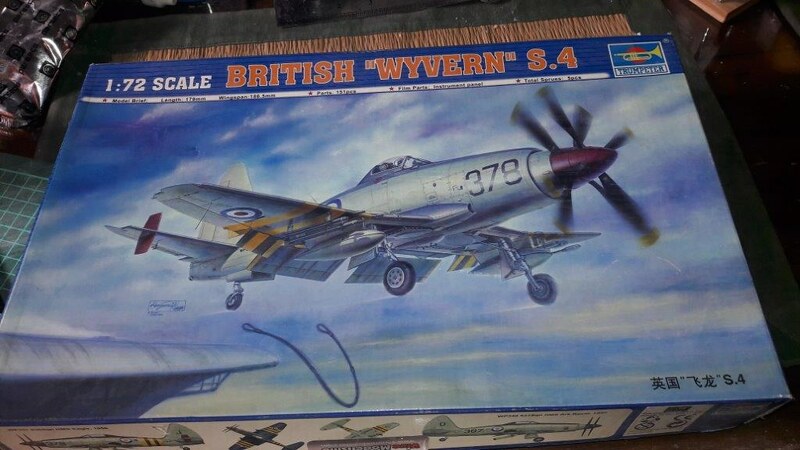 Good to see a Wyvern in the campaign. 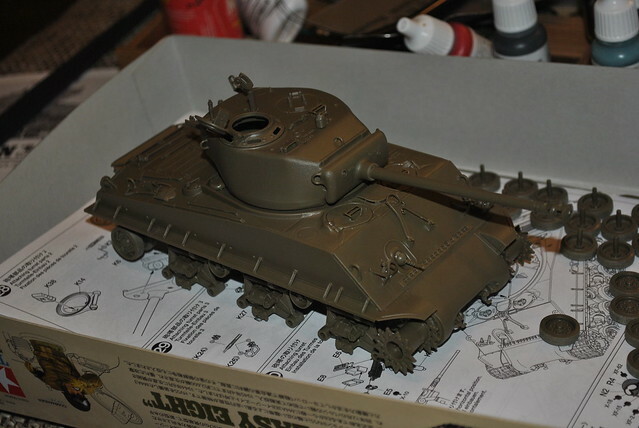 @ Pasi - I hope the Sherman was as enjoyable as my Tamiya M4A3E8. @ Mark - You have some courage to take on that old kit, Im afraid it will be an uphill struggle with that one. 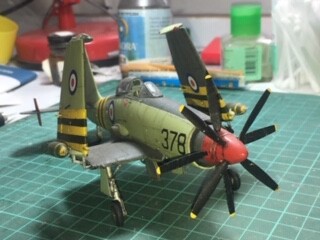 @ Stephen - looking forward to see the Sea Fury, its on my to do list. 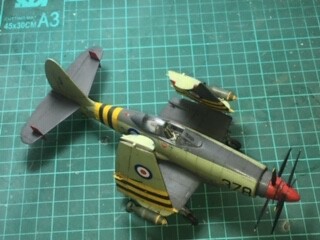 @ Don - nice to see the Corsair main assembly done, I read terrible things about that kit, but You have managed it ! 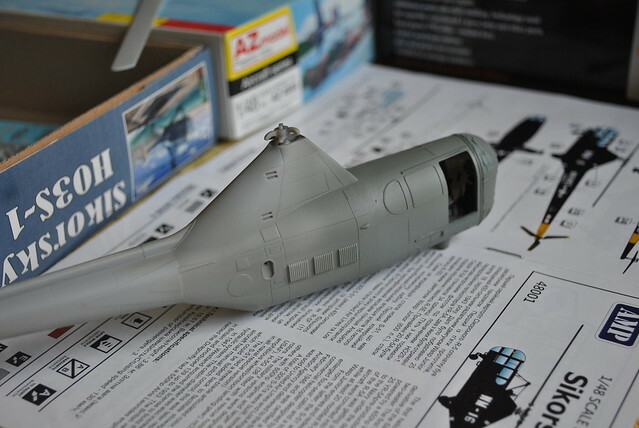 I have struggled with the Dragonfly (and other kits), since its an ongoing putty/sanding exercise and still not done yet, but the following book from H.L. 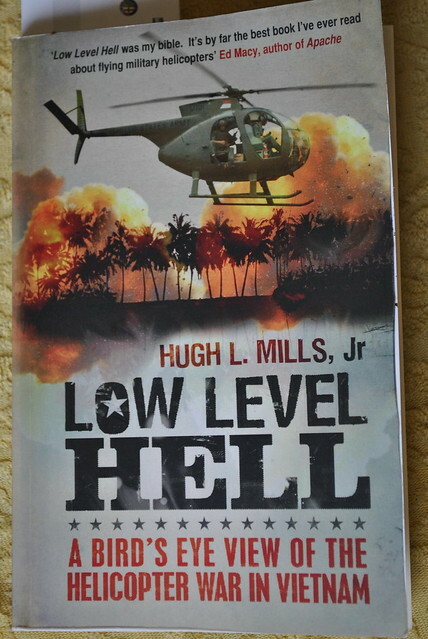 Mills - Low Level Hell gave me great inspiration to continue. Granted, its Vietnam era, but still a great book about helicopter warfare. Thanks for your coments @Don and @Jacob. And well worth the effort.